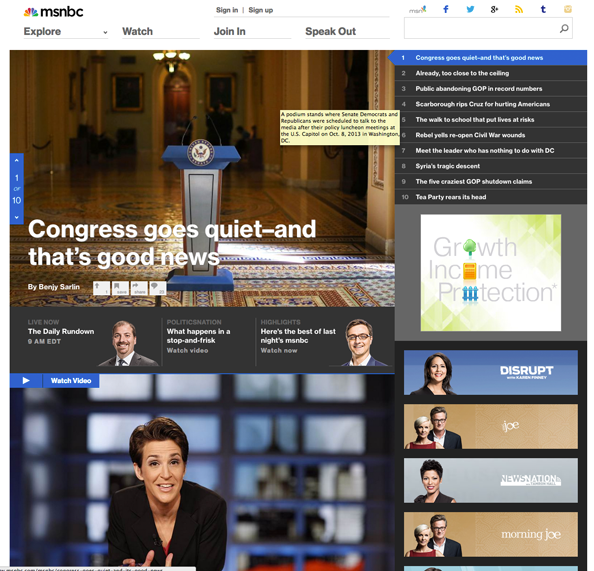 NBC News Digital is offering up a full “preview” of the new MSNBC.com website. The new website uses large photos and colored boxes as a dominant design elements and features news, commentary and analysis on issues discussed on the MSNBC cable channel. The homepage includes, at the time of this writing, 10 featured pieces of content on the homepage that run down the left side of the page, displayed as large photos with text overlays, while the right side features a skinnier column that remains fixed as the user scrolls and provides links to show pages. Incidentally, we noticed the right sidebar seems to have a bug, at least in Google Chrome, where content gets cut off at bottom of the browser window and scrolling down isn’t possible. This issue is present even on very large screens, but is even worse at smaller resolutions. 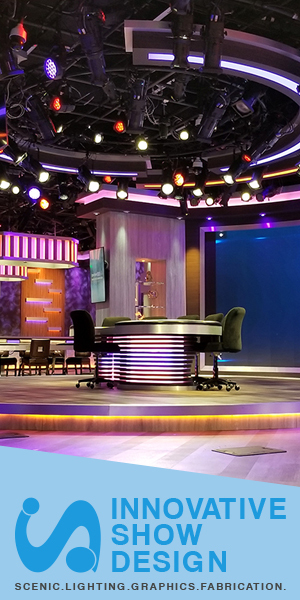 All MSNBC shows also have new websites, as well, which feature prominent show branding and host photos as well as a video dominated main area. Visitors entering “msnbc.com” are now being shown a split screen that explains the difference between NBCNews.com and MSNBC.com and can chose their desired destination. MSNBC and NBC News began this online transition in 2012, shortly after NBC Universal purchased Microsoft’s stake in the once joint venture. NBC announced plans to make NBCNews.com the new home of NBC News and its programming online, while MSNBC.com would become home to the cable channel and a “progressive” website. NBCNews.com officially became the new homepage of NBC News in July 2012, though many pages still continued to be served off the MSNBC.com domain. Plans are also under way for a new NBCNews.com, and NewscastStudio spotted some sections of the site were sporting a new look that could be a hint at the overall direction the site is headed.